Xiaomi Redmi Note 6 Pro vs Redmi Note 5 Pro – Should you upgrade? Xiaomi recently announced the Redmi Note 6 Pro quietly in Thailand and it may or may not come to the Indian market. 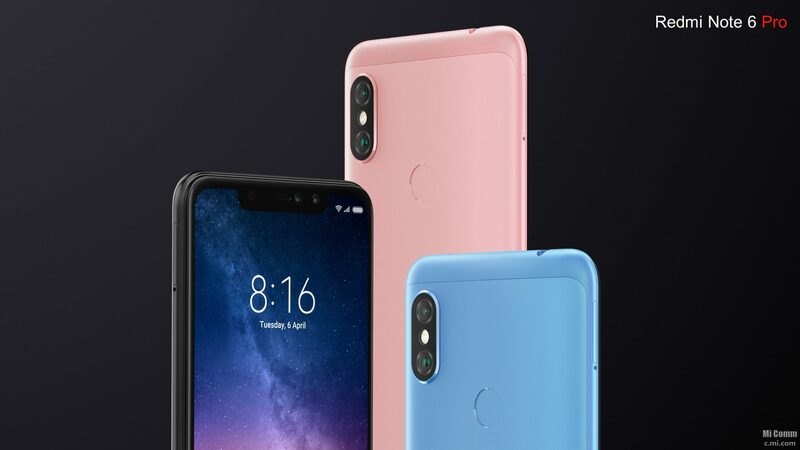 Whatever the case is, it is not a pretty big upgrade from this year’s Redmi Note 5 Pro, and this is weird since we have always seen the next generation of the Note series to be more feature packed than the previous generation. If you own the Redmi Note 5 Pro, you are thinking if it is a wise choice to go for the Redmi Note 6 Pro (in case it launches in your country). In this article, let’s compare both the phones regarding their specifications on paper. This will give you an idea of how different they are from each other. So, this article is all about the Xiaomi Redmi Note 6 Pro vs Redmi Note 5 Pro. You would expect the successor to come with a different design than the predecessor, right? Well, this doesn’t always happen. Look at the new iPhones. Do you find anything different regarding the design when compared with the previous generation? No! Look at the Galaxy Note 9 and Note 8. There are just a few design changes, but the overall look and feel remain the same. The Xiaomi Redmi Note 6 Pro comes with almost the same design as the Redmi Note 5 Pro. The Redmi Note 6 Pro has slightly curvy edges and Antenna lines. The most significant change however when it comes to the design is on the front. 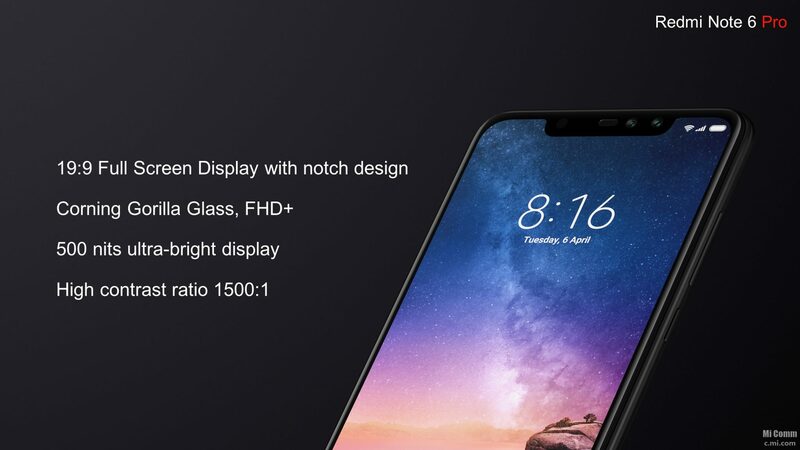 The Note 6 Pro has a notch on the front that makes it the first Redmi Note series phone from Xiaomi to feature a notch. The position of volume rockers, power button, micro USB port, speaker grill and headphone jack remain the same. The display on the Redmi Note 6 Pro is slightly changed as compared to the one on the Note 5 Pro. Both are Full-HD+ displays, but the one on Note 6 Pro has a 19:9 aspect ratio, thanks to that notch. This means the phone has a bigger 6.26 display with the same form factor as the Redmi Note 5, which has a 5.99-inch display. Also, the display on the Redmi Note 5 Pro comes with 450 nits of maximum brightness, whereas this number is 500 nits for the Redmi Note 6’s display. Except this, the display is the same with the same contrast ratio of 1500:1. 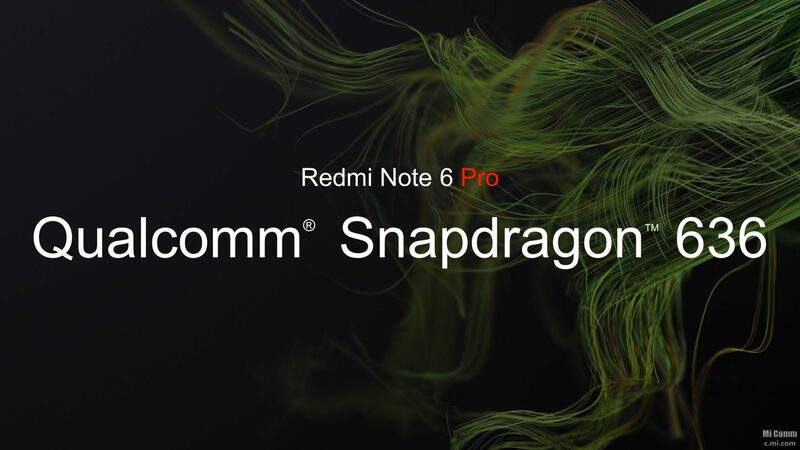 This is surely disappointing that despite being a successor, the Xiaomi Redmi Note 6 Pro has the same processor as the Redmi Note 5 Pro i.e., the Qualcomm Snapdragon 636. It is not a bad chipset by any means. But, when there are phones like Realme 2 Pro that offers Snapdragon 660 processor at a price lower than the price of Redmi Note 5 Pro, we have to raise the question – Why did Xiaomi not go for an upgraded processor for the Redmi Note 6 Pro? There is 4GB RAM with 64GB ROM, and there is a hybrid SIM slot. So, everything regarding the chipset and the storage remains the same as last generation. The Redmi Note 6 Pro has the same battery as the Redmi Note 5 Pro, i.e., a 4,000mAh unit. The battery is something that is expected to either get bigger or remain the same as last generation. So, no complains here. 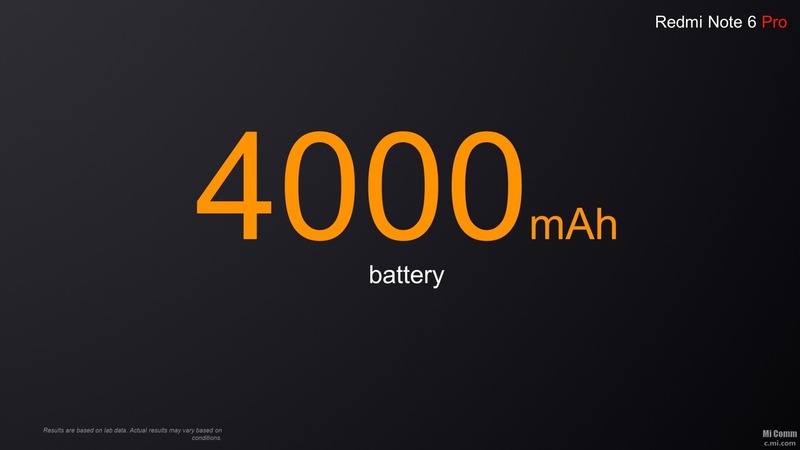 The 4,000mAh battery is still enough to last a full day on moderate to heavy use. The Redmi Note 6 Pro runs on Android 8.1.0 Oreo out of the box. In case you don’t know, the Redmi Note 5 Pro comes with Nougat out of the box and got the Android 8.1 Oreo update recently. Still, considering great software support from Xiaomi, we expect both the phones to get next couple of MIUI Updates (MIUI 11 and 12). Cameras are something that are improved in the new Xiaomi Redmi Note 6 Pro. The phone has a dual camera setup on the rear as the Note 5 Pro and has the same Megapixel count for both the lenses. 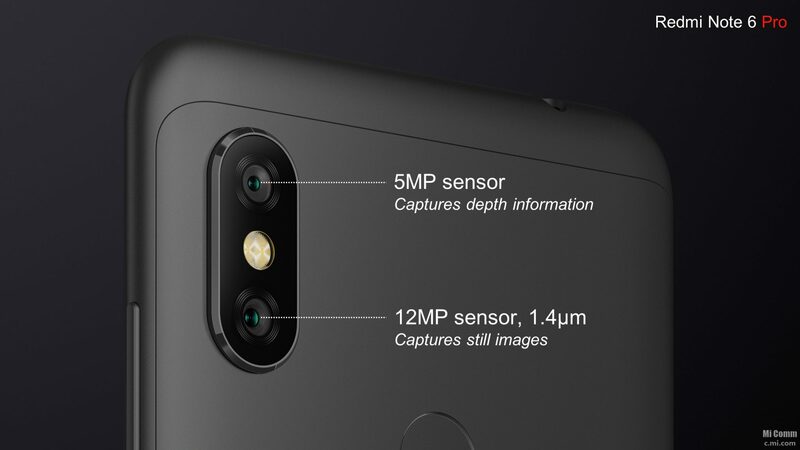 But, the 12MP primary camera now has a f/1.9 aperture with 1.4-micron pixel size, compared to the 12MP f/2.2 sensor with 1.25-micron pixel size on the Note 5 Pro. The secondary camera remains the same 5MP depth sensor on both the phones. On the front, the Redmi Note 6 Pro has dual cameras. 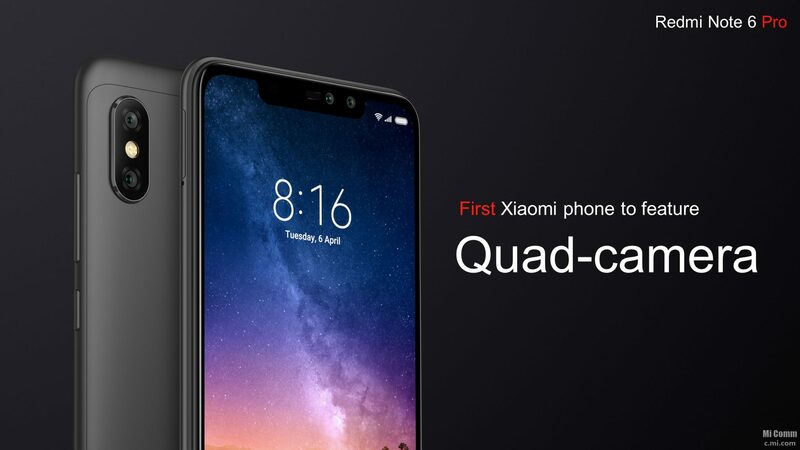 This makes it the first Xiaomi device with four cameras in total. The front has a 20MP f/2.0 sensor and a secondary 2MP depth sensor. On the Redmi Note 5 Pro, there is a single 20MP camera with f/2.2 aperture. There is also AI integration as the Redmi Note 6 Pro’s cameras can recognize scenes to adjust the camera settings, shoot better Portrait Mode photos and do a lot more things. Well, as we saw, there isn’t a lot of differences when both the phones are compared. This is not a phone we would like to see as a successor to the Redmi Note 5 Pro. We hope that the company launches it in India or China with better specifications or bring it with a different name (Redmi Note 6 will be better! ).